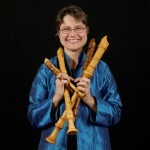 Regular meeting for recorder players, with guest conductor Hanneke Van Proosdij. Newcomers welcome. Bring recorders, stand, and other early instruments. Music provided. Refreshments. 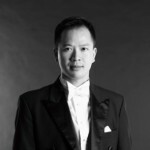 Monthly playing session with guest conductor Derek Tam. New members and guests welcome. 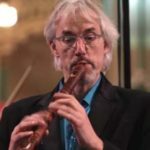 Recorder virtuoso, conductor and composer Matthias Maute brings “The American Recorder Rally” to San Jose, produced by local recorder societies in association with The American Recorder Society (ARS). Mr. Maute will present a two-hour workshop/rehearsal and concert. Music will be provided by email in advance. During the concert, workshop participants will join him for two pieces. In addition to the participant performances, Mr. Maute will play a number of solo pieces. The workshop (for up to 40 intermediate to advanced recorder players) begins at 4:00 p.m. 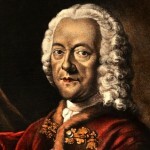 The concert, Telemann: Tweets and Twitters, follows at 7:30 p.m. For more information, including registration form, view the attached pdf file, or go to http://www.foothillpc.org/american-recorder-rally. Please let us know what voices of recorder you play and your level. Parts will be assigned in advance and you will receive the music in time to practice. You may also call or email Greta Hryciw 415-377-4444 or gr8asf@yahoo.com with questions about this event. Workshop and Concert $50; Concert only $15 in advance or $17.50 at the door. Violinist Joe Edelberg and flutist Stacey Pelinka perform a varied duo recital. The program will begin with miniatures and character pieces of the Baroque by Telemann and the French flute virtuoso Blavet, proceeding with a set of Irish songs and dance tunes, opera transcriptions of Mozart’s Don Giovanni, and Verdi’s Ballo in Maschera (narrated by the players! ), and ending with Rossini’s Barber of Seville.